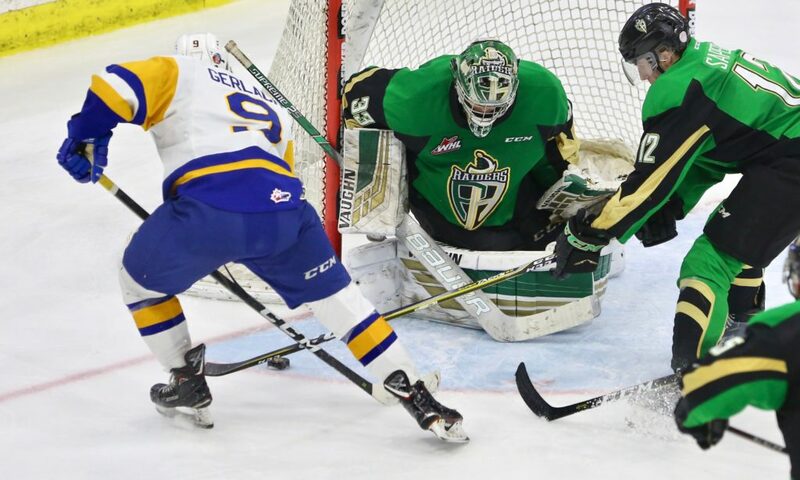 Saskatoon, SK – The Eastern Conference Semifinal between the Prince Albert Raiders and Saskatoon Blades is now a best-of-three series. 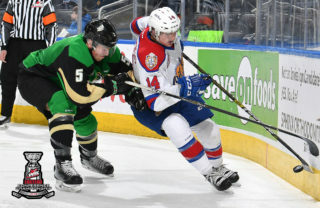 The Raiders dropped a 4-1 game to the Blades on Wednesday night at SaskTel Centre in Saskatoon. 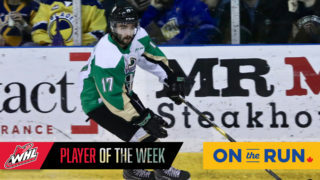 Dante Hannoun scored the Raiders’ lone goal in the contest. Max Gerlach had a goal and two assists for the Blades. The best-of-seven series is now tied at two games apiece. The Raiders came out firing in the first period, but didn’t break through until the midway point of the frame. Parker Kelly cut off a pass while on the penalty kill and got into the offensive zone. 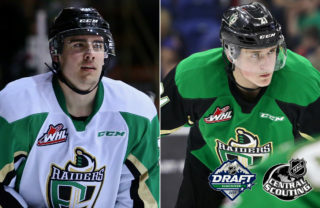 The Ottawa Senators prospect put a pass through Dawson Davidson’s legs to Hannoun. The overager made a move to his backhand and put his shot off the post and in to make it 1-0 with 8:45 to play in the opening frame. Late in the period, the Raiders dialed up the pressure with Brandon Schuldhaus in the box serving a double minor. The best chance of the man advantage came with Brett Leason at the side of the goal. Nolan Maier was sprawled on the ice and was out of the play. Leason centered for Kelly, but the pass was broken up. 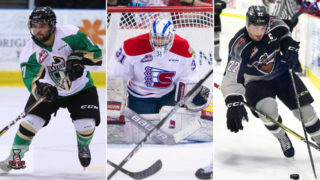 In total, the Raiders put 22 shots on goal in the opening period – four short of their total from Tuesday night. Early in the second, Cole Fonstad nearly extended the Raiders lead. His shot got through Maier, trickled along the length of the goal line, and hit the post before being cleared from danger. The Blades got on the board with 7:58 to play in the second period. With six seconds left on a power play, Max Gerlach picked the near corner on Ian Scott to make it a 1-1 game. About a minute later, Saskatoon took the lead. 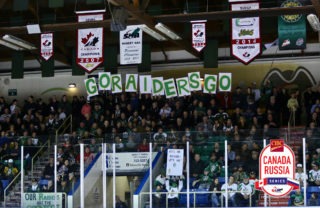 Riley McKay picked off a pass and got the puck into the Raiders end. The puck found its way to Tristen Robins, who went off the post and in to give the Blades a 2-1 lead. In the third, the Blades added to their lead with 3:42 to play. On a two-on-one rush, Gerlach hit the post. The puck stayed in the Raiders’ end and found its way to the side of the net. Kyle Crnkovic’s shot from the side got through Scott to put the Blades up 3-1. With 2:07 to play, Eric Florchuk hit the empty net from the red line to round out the scoring at 4-1. Scott finished the game with 34 saves in the loss for the Raiders. Maier turned away 43 shots on goal by the Raiders, including those 21 in the first period. 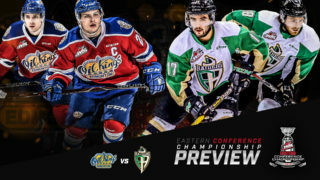 The series returns to the Art Hauser Centre for Game 5 on Friday night. Puck drop is 7 p.m.